I’m an investment banker, the father of two teenagers and an avid fan of American history. And I absolutely love great biographies. About fifteen years ago I began traveling overseas regularly and found myself spending countless hours on long-haul flights. To fill the time I read everything by Tom Clancy and Robert Ludlum. Then I turned to great biographies. I began searching for the best biographies of history’s most fascinating people: famous explorers, entertainers, sports figures and other colorful personalities. But I quickly focused on a genre which consumed six years: presidential biographies. In 2012, I started reading the 240 best presidential biographies I could find, beginning with George Washington and ending with Barack Obama. I’ve been documenting that journey at www.bestpresidentialbios.com. As of February 2019 – after 2,243 days and 123,000 pages of reading – I finished the first round of that adventure. 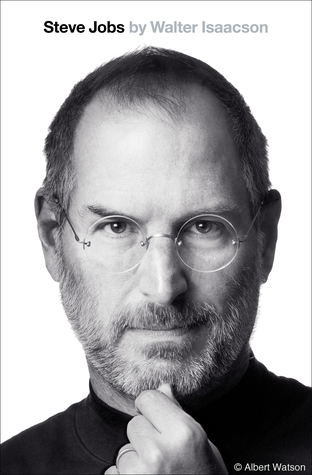 Now I’m branching out and reading the very best biographies of anyone…and documenting this phase of my adventure here! No worries on sending a copy of the book – I purchase every book I read and review and I consider that a small price to pay getting to read great biographies about interesting individuals. If you have other information about the book I might find useful or interesting let me know (the easiest way for me to get stuff is via email: sr20pilotbios -at- gmail.com) but other means of delivery can be utilized as well! Steve, you are my hero for your incredible insight into great biographies and your outstanding website(s). I still don’t know how you find the time to do it all, however fast you read! That’s *awesome* – thanks for the recommendation…I’ll look into it asap! Alice Roosevelt Longworth was one of those unusual characters I met “along the way” on this presidential journey who I found utterly fascinating. I instantly fell in love with her and assumed there must be several compelling biographies of her. I didn’t spend an enormous amount of time searching, but didn’t exactly unearth a treasure trove of books on her, so I have high hopes (based on the title alone) for the one you mention. I even enjoyed her character so much I mentioned her in passing to my parents who said they actually learned about her in their high school history classes. They obviously had a very different history syllabus than me. But I imagine her to be a bit like Margaret Thatcher might have turned out if she’d been TR’s daughter… Anyway, thanks again for the recommendation and keep them coming! I see three others from doing a Google book search, and I may just have to look into those myself! And of course there are at least a couple on “the Roosevelt women” and the rocky relationship between Eleanor and Alice. Yes, clearly one of the all-time greatest presidential quotes! There’s just never enough time, is there? So if you’ve read any you really love that are missing from my master list, please let me know! I’m still in the process of sifting through everything published in 2018, but I’ve attempted to capture everything before that. And for 2019, I’m trying to convince myself I can squeeze in Andrew Roberts’ recent “Churchill: Walking with Destiny” at the end of the year. Kai Bird’s book on Robert Oppenheimer was extraordinary, a perfect blend of the study of a perplexing and intriguing individual and his role in a pivotal time in world history. Glad you have it on your list. One book that I don’t find anywhere on your site is Unforgivable Blackness by Geoffrey Ward, a look at another larger-than-life figure and his unique role in American history, in regards to race relations, made into a documentary by Ken Burns. I hear that Walter Isaacson’s bio on da Vinci is very good, too. Thanks! I’d never heard of the book (or its subject) by Ward but after a little research I’ve added it, and I’ve had the Isaacson book on a stick note waiting to be added, so your prodding was perfectly timed!